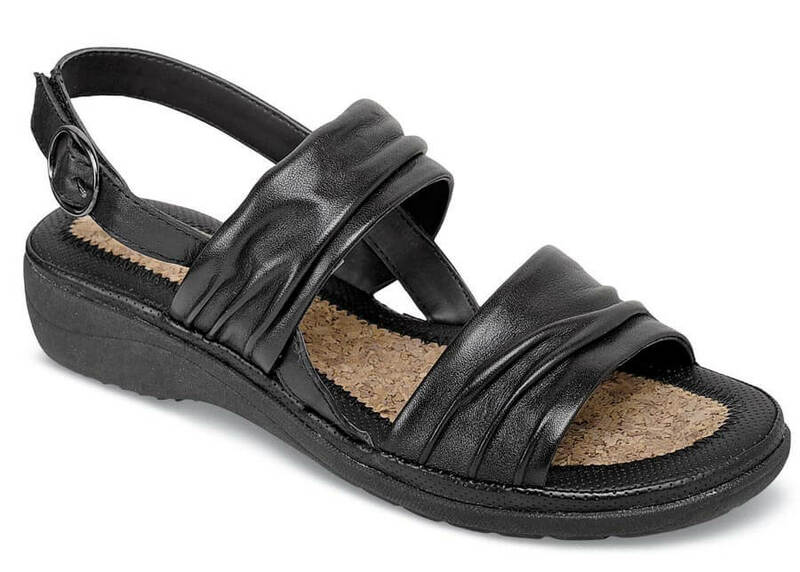 Comfort and styling make Hush Puppies' "Minetta Keaton" a very special sandal. It has soft gathered black leather uppers and an EVA/rubber sole unit with natural cork sock lining cushioned with latex and foam. 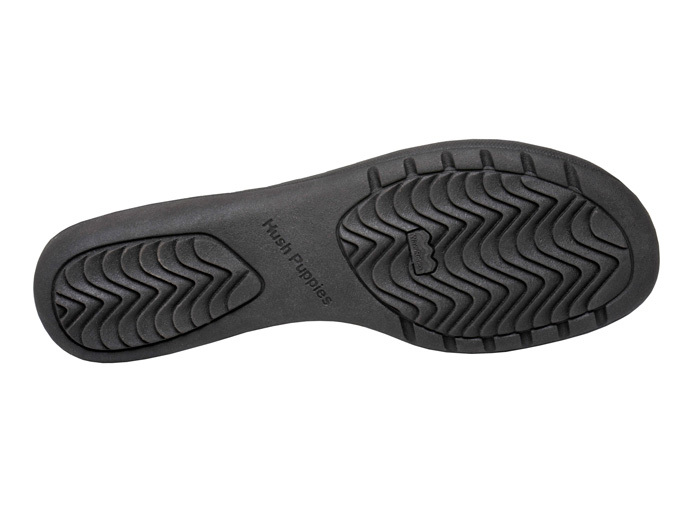 The heel strap has easy hook-and-loop adjustment. 1¼-inch heel height. Originally $79.95. Limited stock in women's EW width in sizes indicated.